Eric helps sellers get the most for their home or land. Eric Andrews is one of the most experienced and highest performing land experts in the USA. He covers all of central North Carolina, has closed over 1,000 properties, surpassing over 150 million dollars in gross sales. How to select a real estate agent based on your needs. Chatham’s only Accredited Land Consultant. Greg explains how Eric helped him buy 25+ houses. Eric on the rewards of teaching & coaching in Pittsboro. Eric Discusses a recent, large, successful land sale. Eric Andrews was recently granted this award in honor of not just his phenomenal sales, but his service to the RLI over many years. Read more about this award here. 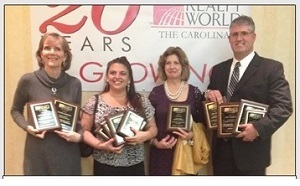 Realty World’s #1 Broker in Commercial Land Sales in North & South Carolina. 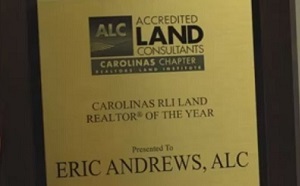 Eric Andrews wins award for having the most sales in North and South Carolina in 2015. 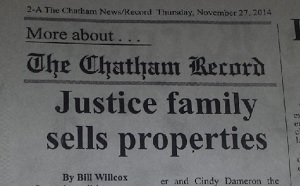 Read the article that was featured in the Chatham News & Record here. 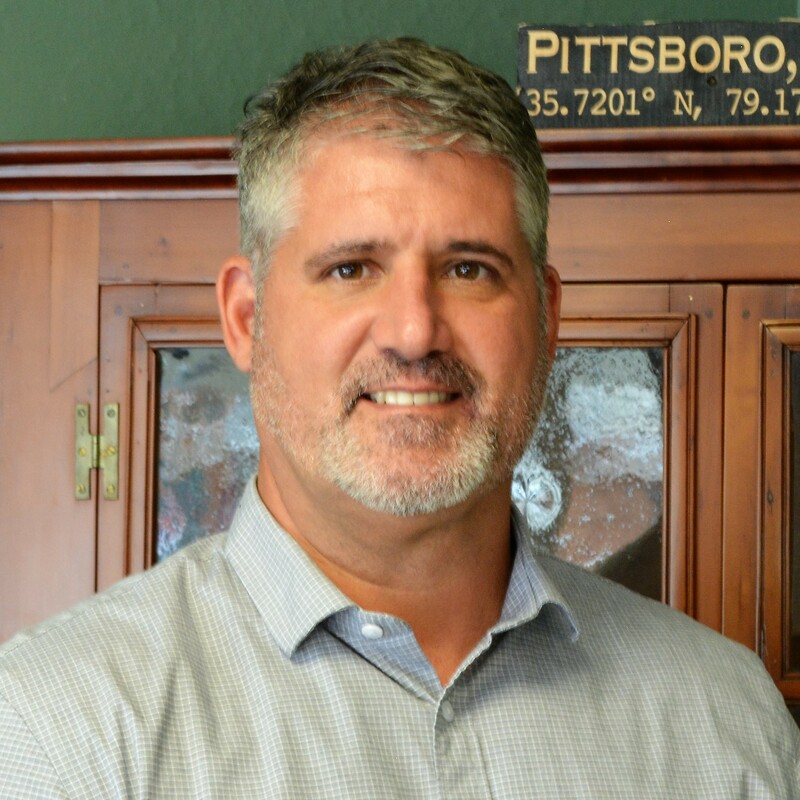 Eric Andrews helps complete huge, historic, multi-million dollar land transaction in downtown Pittsboro. You can read about this gigantic deal here. ALC – Eric is an Accredited Land Consultant and the only expert to achieve ALC in Pittsboro, North Carolina. Less than 500 Realtors in the USA have this accreditation. GRI – Graduate of Realtors Institute. RLI – Realtors Land Institute Member. Expert Witness – Serving as Commissioner of the Courts as an expert witness, Eric has assisted in the matters of: Land Valuations, Petition for Partitions, Separation and Divorce, and Eminent Domain Hearings. Alamance County, Alexander, Anson, Caswell, Catawba, Chatham County, Caswell, Cleveland, Davidson, Davie, Durham, Forsyth, Franklin, Gastion, Granville, Harnett, Iredell, Lee, Lincoln, Mecklenburg, Montgomery, Moore, Orange, Person, Randolph, Richmond, Rockingham, Surry, Stanly, Stokes, Union, Vance, Wake, and Warren Counties. Who is purchasing and selling land? Family farms are sold. Acreage and other tracts are purchased. There are a plethora of reasons why land is sold. Some people want a nice place to build a new home. Land is sold for commercial purposes, country property, farms and ranches, investment land, dense housing construction, and more.